FAQs / How can I get customers to put signatures on Order Printouts themselves? 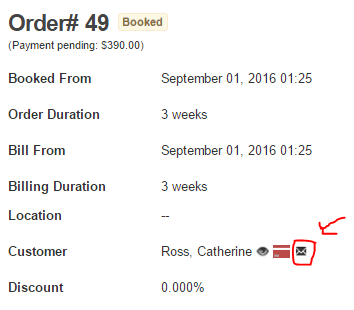 1) From an order’s detail page, use the email option icon (see image below). 2) An overlay will appear. You can add details/subject as needed. Choose an Order Printout type and template under ‘Send Print Order’. Then hit the ‘Insert’ link. A ‘signature pad’ must be added to the Order Printout template you are emailing to the customer. Learn More on Customizing Order Printouts. 3) Hit ‘Send Email’ from the bottom of this overlay. Check ‘attach an invoice’ to receive a pdf file when the customer submit the signed invoice. You can also ask the customer for payment and send a copy to yourself. 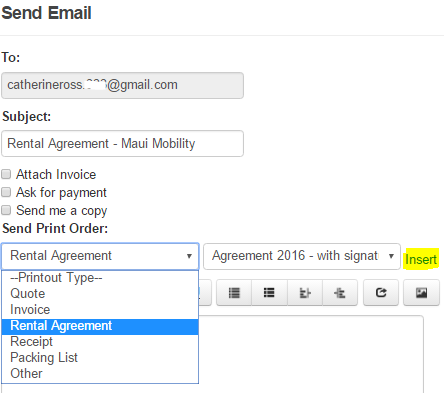 4) The customer will receive an email alert with a preview of the agreement/invoice, a place to sign, and a button to submit it. Learn More about alerts for customers. 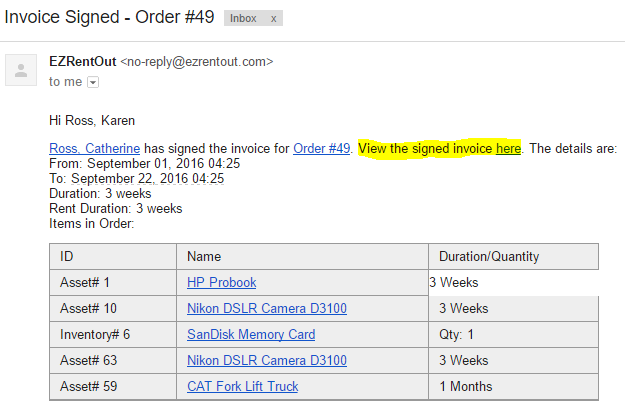 5) Once the customer signs and hits ‘submit’, you’ll receive an email alert of the Invoice signed and the pdf will be available under Documents tab on the relevant order (see images below).